If you don't have the time, inclination or ability to make your own Tameshigi stand, this is the perfect solution. Designed as a ready to assemble tatami mat stand. Remove the dowel peg for water bottle cutting. 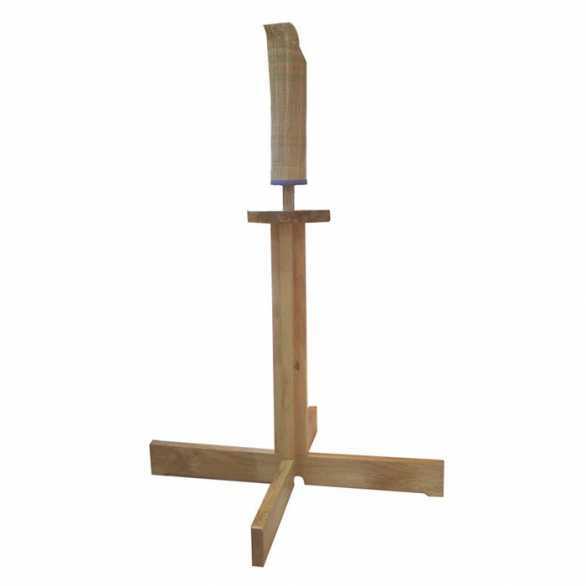 35" tall wooden tatami stand with dowel peg.